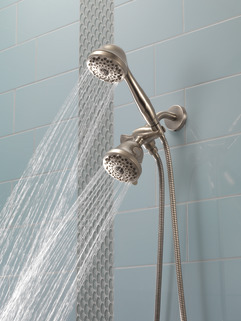 Can someone tell me how the pause feature should work on the Delta Premium 7-Setting Hand Shower, Model#: 59425-SS-PK? I have 7 settings but none are going to a pause mode. Instead water comes out of some of the various parts of the shower head. I am not sure if mine is defective but I selected this model because of this feature. Now that it has been installed I don't see this feature as an option. I have confirmed I have the correct model. What is the overall length of the 59426-PK? The spec sheet shows the sprayer is 3-13/16 in diameter but does not show the length. Does this come with the hose? This has 2.0 gpm water flow. Can the water flow restrictor be removed so it is more like a 2.5gpm flow? How do I remove the restrictor? 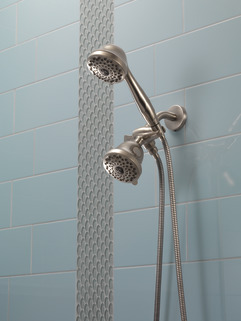 From what kind of material is this Shower Head 59426 made? 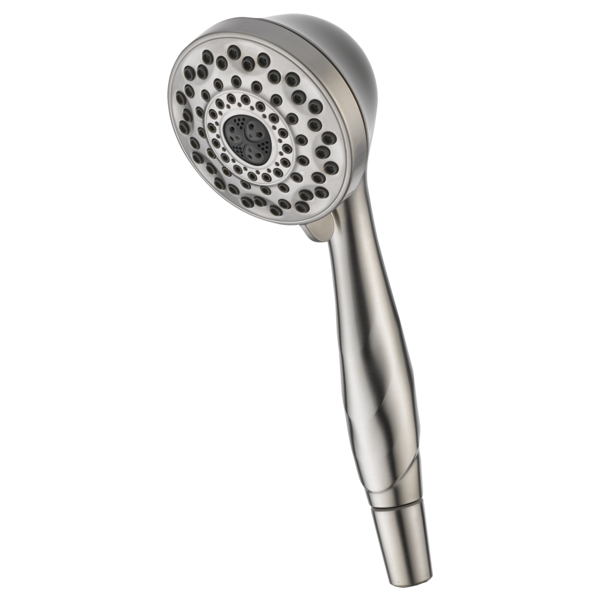 Is the outer shell of Delta Shower Head 59426 made from solid brass, brass finish over other metal, or brass finish over plastic? 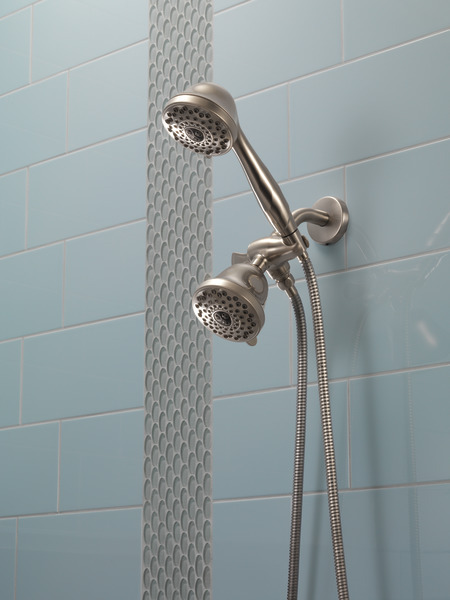 The dome of this shower head appears to be a different color. Is the dome not made of brass, is it a brass finish? what is the model# for the hose if I need to purchase separately.